A mission to provide 24-hour public access lifesaving equipment and free CPR and defibrillator training is exceeding expectations in the Newton Aycliffe. The project funded by Great Aycliffe and Middridge Partnership was to provide several community venues with equipment and training that can assist our emergency services with “The Chain of Survival”. Every year in the UK there are 350,000 heart attacks, 100,000 fatal. Young, old, fit, or unfit, all can be at risk. Over 20% of these attacks happen in a public place. Only 18 months ago there were no 24-hour defibrillator units in Aycliffe, now there are several units located throughout the community. A welcome addition to these are the two new units which have been installed at The Navy Club and Neville Community Association. Supported by GAMP Neighbourhood Budget Funding from County Councillors Eddy Adam, John Clare, Kate Hopper, Scott Durham and Paul Howell, staff, members, and the Ladies Group headed by Dorothy Bowman, based at the Navy Club, were successful in obtaining £1,700 for the installation of the new unit. 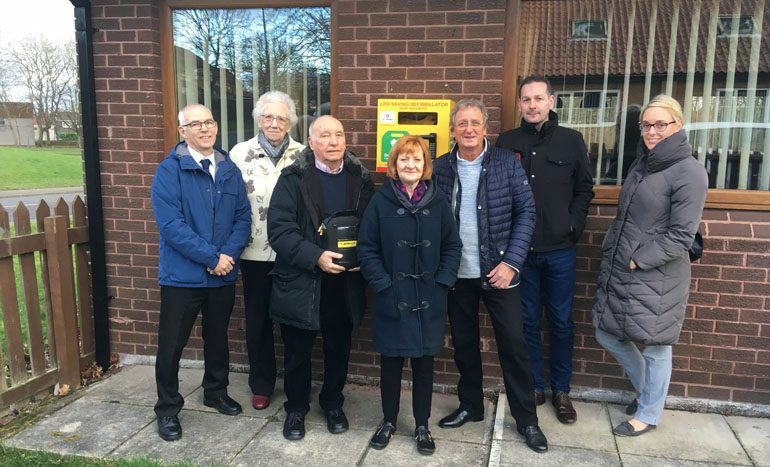 Neville Community Centre and Neville Community Residents Group new defibrillator was supported by GAMP Small Grants Funding from County Councillors Sarah Iveson and Jim Atkinson. The centre was also generously supported by a local family the Taylors. The Taylor family lost their daughter Seonaid Taylor-Hill, from a heart condition. They are determined that in her memory some good will come from bad. They have started and are continuing their “Kick it for Seonaid” campaign, to raise funds to provide defibrillators in the community.